As a parent, there are some things we should do for the kids other than providing them money or food. I'm not yet a parent right now because I got a little bit time for that, but from a life experience, I learn everything because when the time comes to be in that position, I would be aware of most of the things we need to know and things should do in order to have a good life. I would say being a parent requires a lot of efforts and responsibilities toward their kids for making them save and provide everything they need, also, make sure to have a bright future. Sometimes you will go beyond your limits to provide that thing which your kid needs to get. I know this, but I haven't got through any of it yet, and soon I will do it haha. I can imagine myself being a father and blogger at the same time in the future which will be such an amazing journey for me. It may be a little bit of struggle, but we will manage to get through and set like a schedule and work on everything to make sure we cover as much as we can as a parent. I've got a couple of things already planned in my mind for the future which I will start working on it as soon as the time hits the clock, you know. Something that I'm sure of it which every parent or should I say, most of the parents need to provide for their kids is entertainment. There are so many ways to entertain kids because everything is new to them and they don't know which one of it is good and which is one is bad for them, Sometimes they think it's fun while it is not. One of the things that we used to enjoy when we were kids is telling stories, and I remember my grandpa used to tell us stories every time before and after a meal. Sometimes, he would tell us stories from his past and event he gone through which kinda education. However, fictional stories were one of it as well, which we enjoy them both and I remember we had a lot of questions because we were so curious. However, there are more developments in how to present or tell the story to the kids nowadays which I will be talking about it in this post. I came across a new app in the apple store which can help you to entertain the kids with nice stories. This surprised me because I've never seen something like this before, and I wouldn't imagine that something like this could happen to be honest. I think it is a new level of telling stories to kids which are more fun and entertaining in my opinion. Note, that this is not a review, but it is something really awesome which caught my attention and thought to share with you guys. You can share your thoughts on the comment section as well. Before any new development was found, we only could read books while holding it and paying attention to it, and then later, people figured out something that could help which listening to books, instead of having extra effort of reading the book and holding it at the same time. 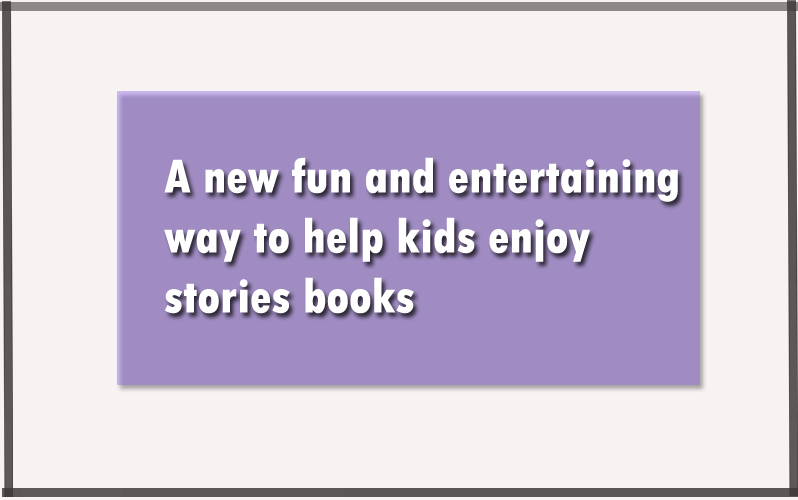 However, this app discovered a new way for kids to enjoy the book while spending less effort and more fun. I don't know how I got this in the list, but I like looking through trends and things in the app store because I usually, check what is new on there. However, I was just exploring and found a random app which allows you to turn pets into 3D graphics which makes it look like they are real through your phone and I got this amazing app. 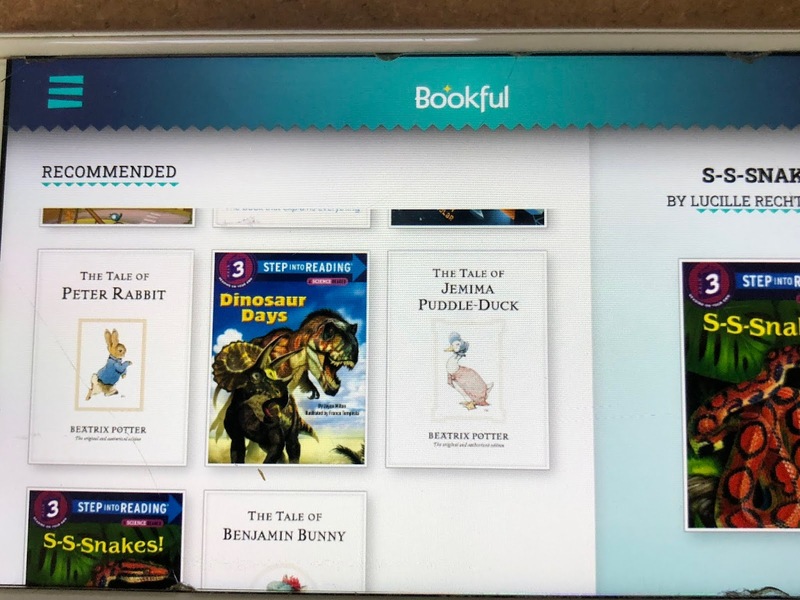 This app called 'Bookful in stories' which uses a new technology called AR and allows the kids to watch the story in a 3D demonstration as they listen to it. It's like VR when you play video games or watch movies, but with books. I've played a couple of stories in the book and it is really so much fun for kids and I think this would this will be the new way to entertain the kids. The app designed for kids from age 4 to 6 years, but I believe it could be for kids up to 9 years old as long as they will enjoy it. Also, they have few stories in the app available I think because they just launched it, but they will keep adding more stories in the future. However, you are limited with the books and you need to purchase a subscription which cost only 1.99$ for now and you will gain access to more books which I think it is a good price for such a thing like this. 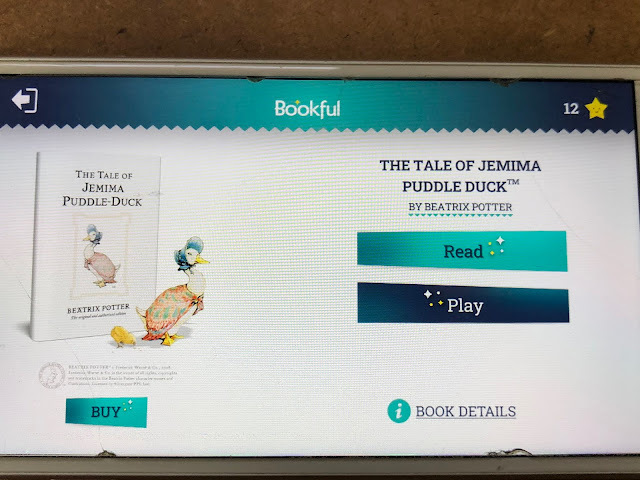 It works easy, All you need to aim the camera of your phone or iPad toward a flat surface whether a table or a floor which then the app will scan it and process and display the book for you. The swiping pages could be done only by swiping left and right on the screen and I recommend a headphone while using this app because it works the best with it. 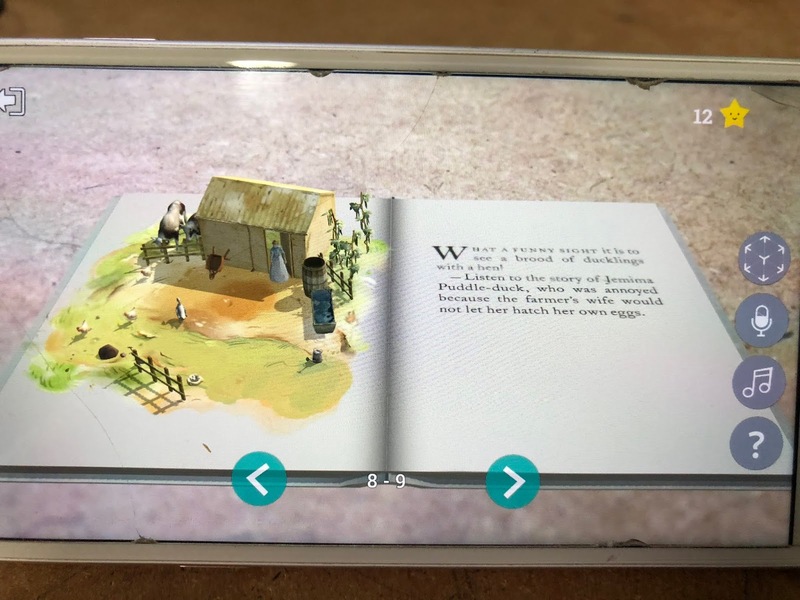 The picture above shows some options which you can choose, and the first one is the view of the book which you can turn it 3D or keep it like this, however, once you turned it on 3D, you can move your phone around while still being able to go through whatever story or book. The left page which the demonstrate things of the story while listening to the words in the right one. One of the features is you can zoom in and out when reading while watching the demonstration because sometimes it doesn't fit the screen. Also, you can move the book anywhere as you move the phone around which is something really nice and I like that. Kids can also play when they don't want to listen and watch stories. It's simple games, but I'm sure they will enjoy it. As for now, I believe the app offers few games, but just like the stories, they will be adding more and more. I think this with some new improvements, it would be the new best way for kids to enjoy short stories and play games. I want to know your thoughts about it and have you tried something similar before? because this is my first time to see something like this. My boys are 3 and 5 and they love to read book and have us read to them. My older son is just starting to learn to read in kindergarten, so I'm sure this would be great encouragement for him! What an interesting idea for a book. I'll have to remember it for when I'm visiting my nephews. AR books are fun. I recently discovered it and I think they're awesome. I have to be consistent with reading to my kid though. Wow! What will they think of next. AR children's books! Wowzer. This looks like it would be so great for learning. I like things like this that make it fun! Bookful in stories sounds interesting. I have to say that my daughter is more interested in videos than books :( Which is horrible because I adore books! This may be a way to get her more interested in books.